Goodwood Park Hotel has never failed in presenting delicious durian cakes and pastries — all made and filled with the richness of the finest D24 or Mao Shan Wang durians. Every year, it is a must for my family to get our hands on Goodwood Park Durian because it combines the best confectionary with my favourite fruit: durian. 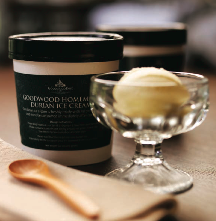 Most Singaporeans would probably hail Goodwood Park Durian as the best, yep, it is that reputable! 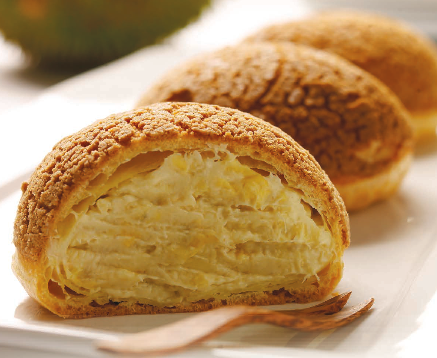 Whatever you do with this durian puff would still taste as good. Whether you eat it as a whole by gobbling it down, or slowly nibble away, the delicate texture and fluffiness of the creamy-like durian brings an exotic, sweet fragrance to your mouth. If you miss the crepe from France, Goodwood Park crepe taste exactly the same — or even better — with the best durian fillings inside. You just got to try this, period. 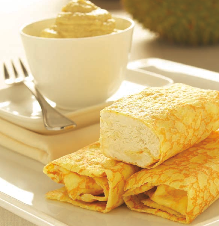 The very thin pancake is like a delicate pillow, wrapping and enveloping the durian with much softness. This folded treat is definitely for anyone who loves something soft and sweet in their mouth. A mega-sized profiterole, the power puff is freshly piped with rich “Mao Shan Wang” pulp upon your order. Look at how it is carefully layered within, and how the crust transcends from crispiness on the outside to a soft, fluffy texture! Beware of this highly-addictive dessert. It is like paradise on earth when you get a taste of the premium D24 durian like ice-cream. I like to buy one whole tub and eat it by myself, *grins*. Kindly note that not all durian pastries will be available at the shopping centre stalls. For the full range of the durian delights, please visit their Deli in the hotel. Goodwork Park Hotel is an amazing place to stay. I checked it on http://www.reservationcounter.com/hotel/orlando/ and they offer great price for people who want to stay there. I might go there this summer.